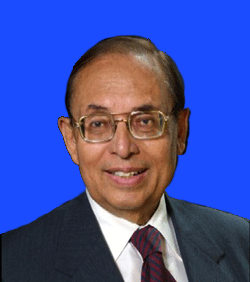 Professor Ananda S. Prasad	M.D. Professor Ananda S. Prasad described first cases of human zinc deficiency syndrome in 1963 in young adults with delayed sexual development, short stature, anemia, enlargement of liver and spleen, and abnormalities of bone maturation. Zinc supplementation resulted in significantly increase in height, weight, bone development and sexual maturation. This pioneering work highlighted the importance of zinc in the health of human and brought the attention of scientific and public health communities to further studying this important trace element. This discovery forms the basis that leads to zinc supplementation to improve the health condition of population around the world. Twenty percents of the world population are at risk of zinc deficiency. Professor Prasad continues to work on elucidating the biochemical and immunological mechanism of zinc at the cellular level. The study lead to the understanding how zinc deficiency affects human white blood cells and lower host defense system.